Northeast Catholic College is pleased to announce that in the 2018-19 academic year, the college will entrust the spiritual formation of its students to the Marian Missionaries of Divine Mercy, with Fr. Michael Gaitley, a Marian Father of the Immaculate Conception, as the Director of Formation. Through this partnership, students of Northeast Catholic will have the opportunity to participate in retreats, courses, and service opportunities led by Fr. Gaitley and the Missionaries. During their four years at the college, students will be thoroughly immersed in the spirituality of such saints as John Paul II, Thérèse of Lisieux, Faustina Kowalska, Mother Teresa of Calcutta, and Maximilian Kolbe. For those who are not yet familiar with Marian Missionary spirituality, it centers on a daily encounter with Jesus Christ, the Divine Mercy, an encounter that causes the “joy of the Gospel” (Evangelium Gaudium, 1-8). Missionaries then generously share this joy with others as they give testimony to the goodness, love, and mercy of God. 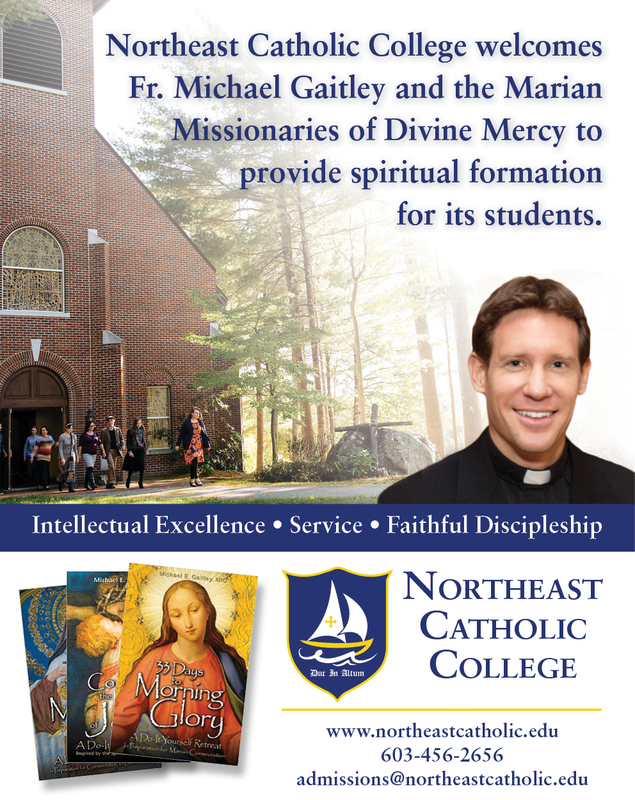 For more information, contact Northeast Catholic College at [email protected] or 603-456-2656.